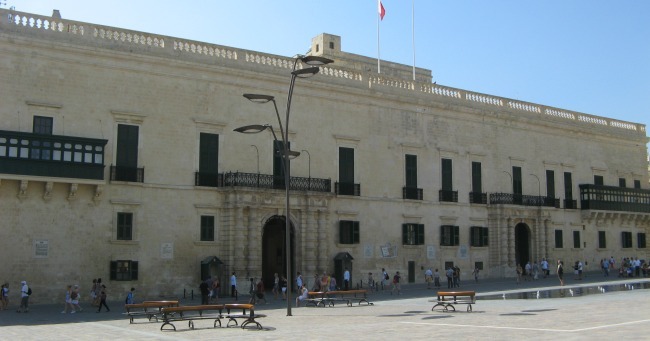 The Sovereign military Order of Malta after leaving Malta in 1798 had no home for many years. They had lost the majority of their arsenal and riches which were taken over by the French who had ousted the Knights of Malta from the islands. At the time the French navy was sailing to Egypt under the command of Napolean and had stopped in Malta. During the following years the Knights of Malta, after having resided in Messina, Catania and Ferrara, finally settled in Rome in 1834 at the Magistral Palace and the Magistral Villa on the Aventine Hill with extra territorial status. In 1869 they were granted extra territoriality by Italy. In this way the Knights of Malta immediately lost their stronghold in the centre of the Mediterranean sea and thus their role immediately changed. Settling in a different country meant re-establishing themselves. In the second part of the 19th century, the original mission as hospitallers was again the main concentrated effort of the Order. Presently the official name is the Sovereign Military Hospitallers Order of St. John of Jerusalem of Rhodes and of Malta. For practicability the name is abbreviated as – Sovereign Military Order of Malta or Sovereign Order of Malta in short SMOM, or Order of Malta – are often used for legal, diplomatic or communication purposes. But they were also called the Knights of St John because the Order’s patron saint is St. John the Baptist and also of Jerusalem because of their presence in the Holy Land. Knights of Malta is generally synonymous with the medieval Order of Knights of Malta also known as Knights Hospitaller or, among other names, Order of St. John. They were initially called the Knights Hospitaller (or Hospitallers) to describe their mission. Also used in the past was the term ‘The Religion’ to emphasise the characteristic of religious confraternity. After conquering the island of Rhodes in (1310-1523), they became known as the Knights of Rhodes. 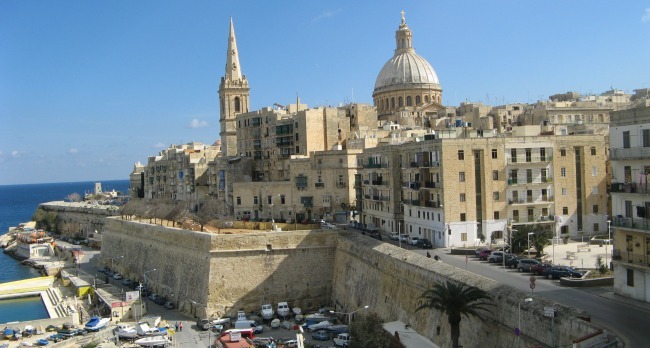 After they accepted Malta, over which it was sovereign, as their next home in 1530, they were then known as the Knights of Malta. The order, although with no official territory of its own, lays claim to a unique international legal status. Under its sovereign status it can print it’s own stamps, coins, license plates, and even provide its own passports for its diplomats for diplomatic business. The Order has legally registered its name in 16 languages and emblems in around 100 countries. This enables the Order to maintain its 960 years of unique heritage. It has held Permanent Observer status at the United Nations (as does the Red Cross) since 1994 and issues "passports" to its diplomats for diplomatic business but it does not meet the criteria for being an independent country. It lacks territory, a permanent population, police power, and has no economy. While the Knights of Malta is recognized as an independent country by the Vatican City (a country that doesn't meet all of the criteria for being an independent country itself) and a handful of other Roman Catholic countries. The National Associations in many countries around the world... Large-scale hospitaller and charitable activities were carried out during World War I, and World War II under Grand Master Fra’ Ludovico Chigi Albani della Rovere (1931-1951). Today the Knights of Malta maintains embassies in various countries like Russia, Spain, Hungary, Poland and holds diplomatic relations with 104 countries. These diplomatic relations help the Order to be able to operate its humanitarian aid programmes in 120 countries. Its institutions are present in 54 countries. Today the Sovereign Military Order of Malta has 13,500 Knights and Dames apart from the thousands of volunteers, to operate its humanitarian programs. The Order offers assistance to humanitarian areas in crisis around the globe, like Syria, Democratic Republic of Congo, Haiti and Afghanistan. They operate soup kitchens, hospitals and ambulance services around the globe even in European countries. Most of all for the past 50 years they have been dealing extensively with the treatment of leprosy. All told, 98,000 members, employees and volunteers work in aid projects in 120 countries; the overall annual operating budget can run to 200 million Euros ($271 million), largely funded by European governments, the U.N. and EU. 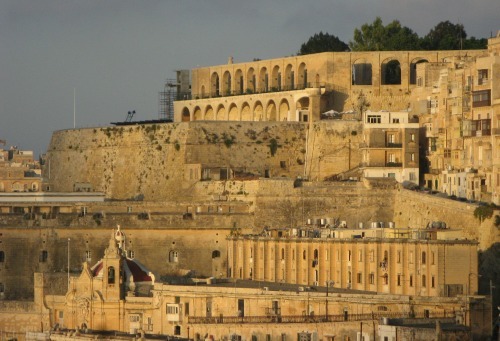 In the historical agreement reached with the Maltese government in 1998, the Order of St John, was granted the right to occupy the upper part of Fort St. Angelo, comprising of the Magistral Palace, and St. Anne’s chapel. Intensive restoration works of these areas were carried out. 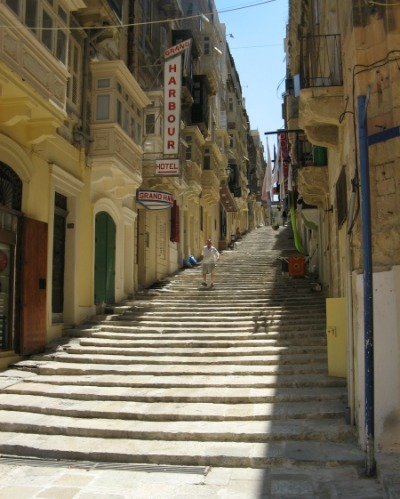 It is located on top of the St. John’s Cavalier within the fortifications of Valletta, the capital city of Malta. The Sovereign Military Order of Malta remains the order that gave the Maltese posterity that still survives in this modern world of today.